You are here: Home / Healthy Eating / Is Whiskey Good For You, Are There Any Health Benefits? Whisky is an alcoholic drink that is detailed and made from fermented grain mash. The mash differs from kin to another, but the main ingredients are corn, rye and wheat. According to stories in Wikipedia, whiskey was first consumed in Mesopotamia. Till today it is one of the most praised drinks in the world. To many it is considered to be a man’s drink, but ladies have also enjoyed the drink due to its hidden health benefits which is a smart choice. There are many varieties of whiskeys that are manufactured all over the world which also have various tastes. It can be deadly when taken in excess, but there are health benefits that comes with intake of moderated amount whiskey. Many studies and medical community have come up with some health benefits of whiskey. 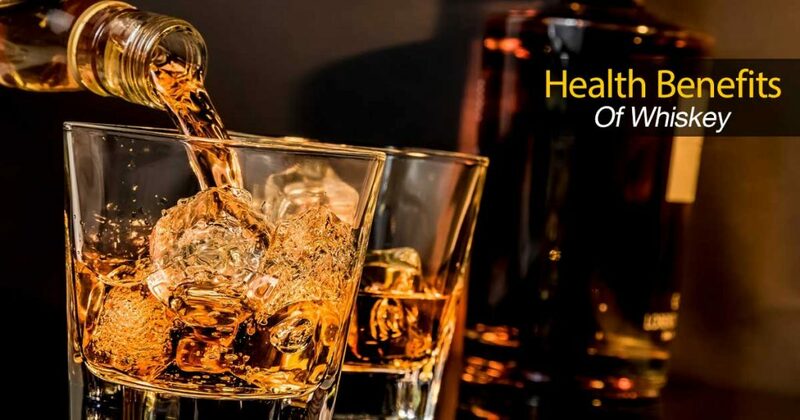 Discussed below are Some of the health benefits that one can get from taking whiskey. Stress is known to be the source of many diseases that are known to many nowadays. It is one of the biggest problems of humankind. Taking a glass of whiskey will help relieve stress slowly but it will surely go away. This may appear to be obvious because it is an alcoholic beverage but for whiskey this works in a different way. It increases blood circulation and at the same down, slow down the brain. This combination helps one relax and put problems aside for a while. It is advisable not to drink it too much as you may end up having a very stressful morning filled with migraines. Drinking whiskey besides relieving stress also helps in getting rid of weight. Unlike other alcoholic drinks like beer, whiskey has low calories and it is free from cholesterol and fat. Instead of drinking cocktails, wine and the like which lead to developing a beer belly try taking whiskey. Most of the people that have the habit of taking a glass of whiskey after a meal or just a glass in a day, don’t worry about the probability of developing a beer belly. Instead, they are sure that they will shed the fat in their belly to maintain their body fitness and shape. An occasional glass of whiskey helps boost the immune system as they say on organic facts. Whiskey has been used to disinfect wounds and it also helps in quicker healing. Here is a place that caution needs to exercise as it may differ with the real fact in the world when we talk about whiskey and immune system. The moderated intake of whiskey will come in handy in boosting your body’s capability to protect itself from infection. Not forgetting that excessive intake of the same has a negative effect on your body. There are some researches that came up with an argument that whiskey has some traces of antioxidant and vitamin though some of the study are inconclusive. This drink assists in fighting off minor sickness like small infection and colds. Whiskey helps in the prevention of cholesterol build up in your arteries. Even better, it gets rid of any cholesterol that may be in your blood vessel at any moment. This way, it ensures that your arteries are clear and that the wall can relax, helping the blood to flow to all parts of the body without any obstruction. Prevention of stroke is one of the greatest health benefits of whiskey. The more you read, the more you feel like taking the drink. Drinking whiskey also helps to have a clear mind and a better memory. Whiskey is special in many ways in that it fastens blood circulation, ensuring that the brain has enough blood. This enables the brain capture more since it will have enough blood circulating making it logical that your brain will work better than when you have not taken any whiskey. Just have in mind that it should be taken in small amounts. A little whiskey goes a long way in lowering the risk of Alzheimer disease and dementia. This is according to life hack whiskey has proven successful in fighting free radicals making it good in fighting diseases in your body. Whiskey has ellagic acid, which fights radicals in the body and hence preventing the two major diseases. Whiskey is more than an ordinary alcoholic drink. Studies have shown that taking a moderate amount of whiskey on a regular basis have a 50% lower risk of suffering a heart attack and stroke. Whiskey has antioxidants that lower bad cholesterol and boosts good cholesterol. This helps the heart function better even in old age. Add this wonderful glass of whiskey to your diet today and you will be in the best position to fight heart diseases and stroke. When blood clots form inside the body, they can be very fatal as compared to when they form externally in case of an injury. Blood clots lead to disruption of organs functioning in the body. Whiskey makes the blood thinner, which prevents blood clots and in turn reduce the chances of suffering from thrombosis and atherosclerosis as well as stroke and heart attack. Developing diabetes is reduced by almost 40% when you take whiskey. Whiskey is also carbohydrate free which is good news to those who suffer from high blood sugar. The only thing to have in mind when taking whiskey is not to do it on an empty stomach. Whiskey is the safest alcoholic that can be ingested by people suffering from diabetes and not make their condition worse. Whiskey has widely been used in the aid of digestion since forever. The high alcohol percentage in whiskey is a good solution for stomach problems. Taking whiskey while eating helps curb appetite, which prevent one from eating more than enough. This makes digestion easier. Avoid having stomach upsets by beginning your meal with whiskey. Drinking whiskey is a proven way of preventing cancer. This works the same way as it does for aalzheimer disease. The ellagic acid that is found in the drink destroys the free radicals that cause cancer. Take a glass of whiskey once a while and reduce your chances of getting cancer. Many researchers show that whiskey is the gods’ nectar. This drink does not only help in curing minor infections and diseases, it also helps to lower the risk of you contracting the major diseases like cancer and dementia. With this in mind, you will not be wrong to say that drinking some whiskey will go a long way in making you live longer. This is due to the fact that it’s filled with various nutrients and antioxidants plus it helps you to boost the immune system. Since it helps cure some illnesses and prevents major disease, it will give you a disease free and a long life that you would have not had were you not taking the whiskey. Don’t forget that the whiskey should not be taken in large quantity as it has side effects when abused. Also it can lead to addiction which is not good for your life. When mixed with warm water, and honey, it works nicely to cure a sore throat not forgetting the fact that it is a very sweet and delicious core. It acts as a numbing agent and antiseptic on aching tonsils. The honey creates a thick coating that makes the healing last longer and make the effect of sore throat not come back any time soon. Whiskey is a good home remedy for a sore throat. From the above benefits of taking whiskey, it is clear that the intake should be moderated not to harm your health. The side effect of this wonderful drink is great when the whiskey is taken to an extent that you become drunk. A glass of whiskey daily will not be harmful to your health at all. Also, most of the countries in the world have different laws that should be followed to ensure that its people a don’t end up being a drinking nation. Also alcoholism is a major cause many diseases that people are suffering nowadays. So you should not destroy your health due to the excessive ingestion of alcohol.